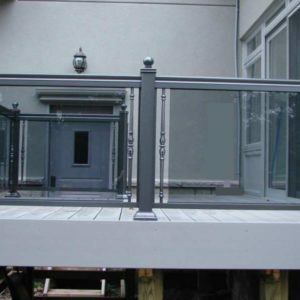 Irrespective of whether you are purchasing prefabricated or custom made aluminum glass railing, we offer a competitive price per foot. 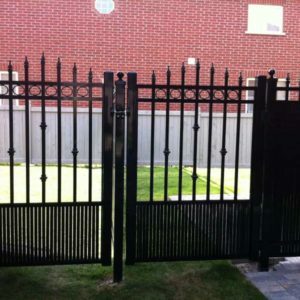 Aluminum railings are a contractor’s best friend. 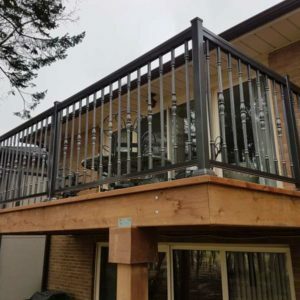 The aluminum glass railing price per foot will be negligible when we demonstrate the fact that the value you will get cannot be measured in financial terms when you buy from us. Price listed may or may not include cost of installation. Don’t you think we are making you a winner? When you commit to buying aluminum glass railing from North West Aluminum you are buying quality. This is the first benefit. The quality will answer questions about safety. It goes without saying that with the price we are offering you are getting more than your money’s worth. This makes aluminum glass railing price per foot fair. Aluminum delivers on quality and safety. Secondly, you are buying durability. At our costing this is an absolute steal. 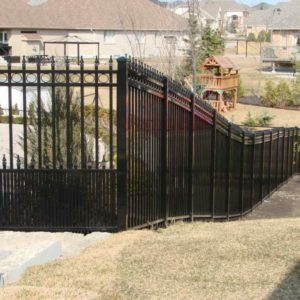 Your aluminum with glass railing system will endure. There isn’t a price you wouldn’t pay for a durable product. 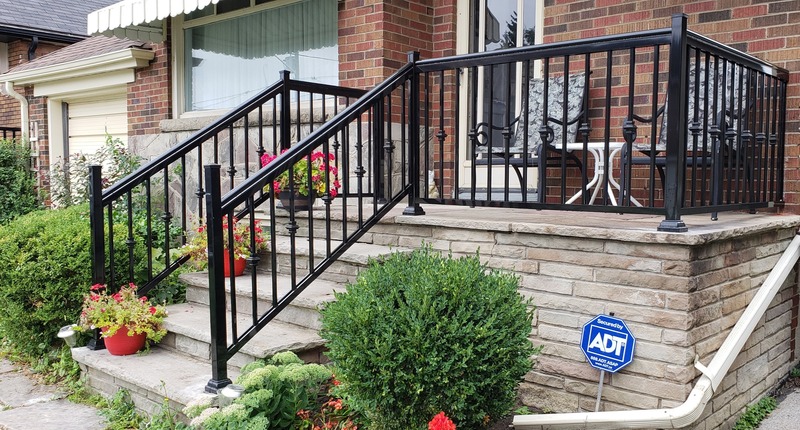 Again you come out as the firm winner when you look at the aluminum glass railing price per foot in relation to the longevity your installation will afford you. 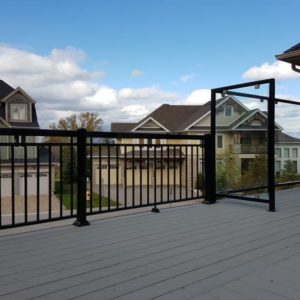 Other factors to consider when weighing our offer of aluminum glass railing price per foot are elegance, strength and low maintenance you’ll experience over an extended period. You don’t have to feel like you are paying an arm and a leg. The aluminum will withstand extreme weather conditions, therefore, it’s a good investment. For you the next step is to call our experts and discuss with them and learn how we can help you. 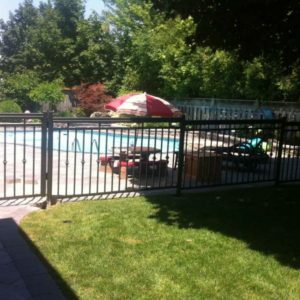 We have technically gifted staff members who can design, manufacture and install aluminum glass railing systems for you. Take the initiative and give us a ring promptly on 647-952-5023.